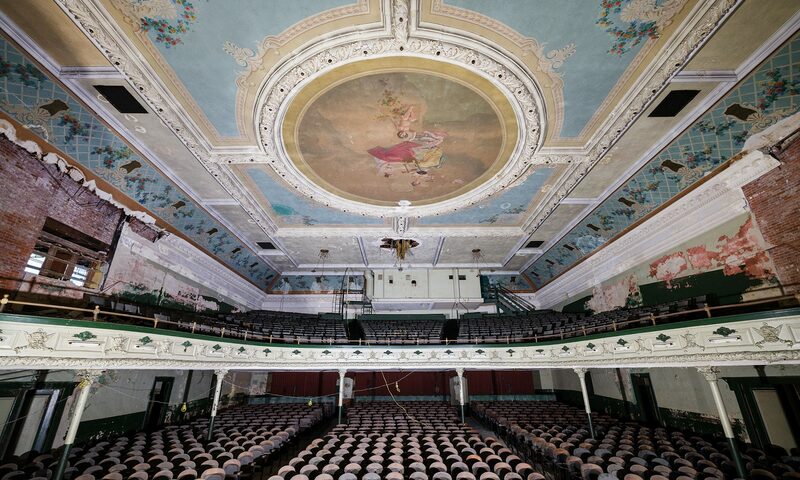 I’m very excited to announce that I’ll be giving a lecture on abandoned theaters on February 17 at the Jean-Cocteau Theatre in Santa Fe, New Mexico. A selection of my images will be exhibited at the theater’s gallery space until March 17. “The Jean Cocteau Cinema opened as the Collective Fantasy Cinema in 1976. Brent Kliewer, programmer for the Collective Fantasy, bought the theater in 1983 and renamed it the Jean Cocteau in reverence to the French filmmaker and artist. Kliewer, who remains the programmer for The Screen in Santa Fe, sold it to Blue Pearl Corporation in 1986. Trans-Lux Corporation purchased the venue in 1989 and ran the theatre, which has a single screen and 120 seats, until closing it in April of 2006. 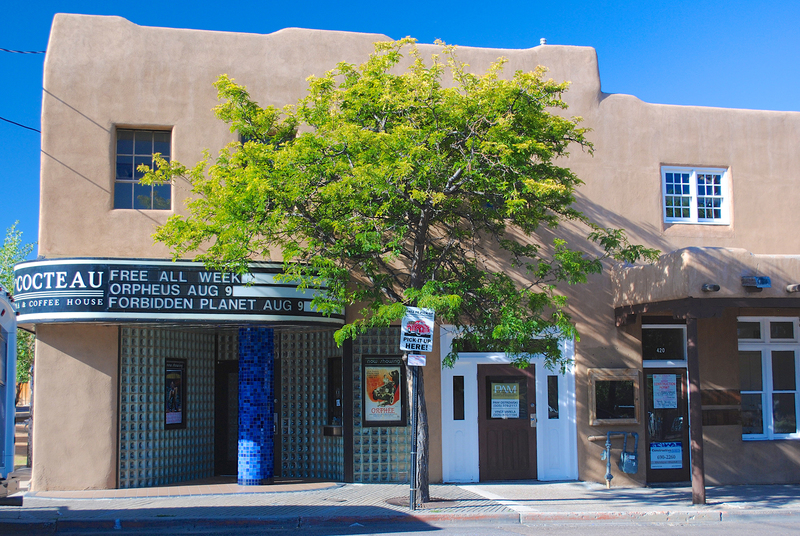 The state of New Mexico then leased offices above the theater and the theater itself as the home for the state film office, with plans to make the theatre auditorium into a film museum. Funding for that project never came to fruition and the film office left the theater and offices in 2010. Trans-Lux still owned the theater, which stood vacant until it was purchased by author George R R Martin in 2013, who reopened it on August 9, 2013. For more information on the space check out the Jean Cocteau website and their Facebook page. Congratulations!. When I began photographing, I had a thing for abandoned buildings. I gave and thanks to you am inspired to photograph them again. Thank you. I love your work and would attend if I were in Santa Fe. You should come to Seattle some time. We have old theaters too. Will you ever be lecturing in LA? Some of the old Broadway theaters are being restored there, unfortunately not all as theaters. They did just restore the historic UA, however. I hope to. I’ll be in LA next month so hopefully I’ll be able to set something up.